The humanitarian system faces a range of challenges in ensuring that people affected by crisis receive the most appropriate aid in a timely and efficient manner. Systemic problems include waste (through transaction and administration costs), corruption (both active and passive), lack of responsiveness (due to individual or institutional bottlenecks) and lack of transparency and accountability. The humanitarian sector has seen many initiatives over the past years to address these issues, and the international community has reaffirmed the need for action around them.This has led to two contradictory impulses. On the one hand, there are calls for a more centralised system that is able to make rapid disbursements at scale without losing speed and value due to the intervention of middlemen.On the other hand, there is recognition that disaster-affected communities and people need to be included in responses, which calls for shifting control over financial resources to the local level where they can be used most effectively. These two impulses are presented as being mutually exclusive – but this may not be the case. One key factor in this set of problems is reliance on existing financial mechanisms, which have high overheads and are vulnerable to international, regional and national instability or inadequacy. This vulnerability is due to financial mechanisms having a single point of failure, which means that the resilience of the system is threatened by accidental and purposeful interruptions. To mitigate this vulnerability, both donors and actors in the humanitarian sector currently work in a risk adverse manner and create layers of control mechanisms. This risk averseness, which is in essence due to the lack of trust in the current infrastructure, is severely hampering effective and efficient delivery of humanitarian aid. If we want to address this lack of trust, the humanitarian sector needs to look beyond its current narrow focus on the system as we currently use it, and explore solutions that might be found at a more systemic and abstract level. If it is really a structural problem that is underlying the impossibility of solving the issues that face humanitarian aid, then that means we should look for answers that address this structure. Examples of such a structural rethink can be found in other sectors facing difficulties. Crises create critiques, and the banking crisis of 2008 caused a rethink of the systems that the global financial system is based on. This critique identified as important culprits those centralising institutions operating in a non-transparent manner – and therefore susceptible to corruption and malpractice. In search of a structure that would not allow for a repeat of such a crisis, the critique has advocated for two goals of decentralisation and transparency. The task may not be to improve the functioning of central institutions, but rather creating more resilient structures that do not rely on these institutions to function. We suggest that only a new and different structure can really deliver the change that is needed to improve the humanitarian sector. This structure might come with a set of assumptions different to those normally applied. It may be possible to create systems in which: no one can corrupt, control or sabotage the system; that you don't have to trust other participants but that this trust is embedded in the system itself; that you can have access to all information that you consider relevant while still retaining anonymity at the appropriate level; and that activity in the system can be held to account through radical transparency. This is a structure that would change the humanitarian sector for the better, and a set of financial tools which might enable it have recently appeared. The financial crisis created a window of opportunity for cryptocurrencies, and their underlying blockchain structures, which were in effect the result of the 2008 financial crisis. A parallel can be drawn here between the financial and humanitarian sectors; in both, centralised institutions not operating in a transparent manner are widely recognised as hindering efficiency and effectiveness. In addition the structure of blockchains is much more suitable for decentralised networks and organisations. 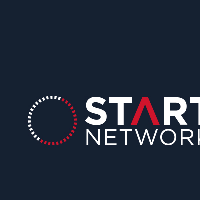 The Start Network is built on the premise that constant adaptation to a rapidly changing world cannot be driven from the centre. The Start Network strategy therefore sets out a shift towards enabling decentralised initiatives with appropriate governance mechanisms, which requires a constantly evolving organisational form. These two developments have been followed by another financial tool, the smart contract, all of which fall under the new category of Financial Technology (FinTech) The humanitarian community should explore these in order to address some of these structural problems. Block chains are distributed databases that operate as digital ledgers, in which all transactions are verified by peers in the network. It is resilient, secure and transparent, since information is publicly accessible for everyone who has downloaded the software. While they have not yet been tested at scale, block chains are being investigated by banks (a recent Santander report estimated that it could save bank infrastructure costs by as much as $20bn pa) and governments (including the UK government). Such databases could be established for a range of different humanitarian functions related to humanitarian logistics, but block chain technology also supports two specific functions. Smart contracts are computer-based automated contract processes that implement real-world outcomes, such as payments. Such contracts can be established between multiple parties without requiring third-party involvement (such as a bank), and can deliver gains in efficiency – by lowering transaction costs – and in security – by introducing cryptographic principles. We believe that smart contracts may provide a way of decentralising decision-making processes within the humanitarian system, and are currently in discussions to develop smart contracts to manage the Start Fund as a proof of concept. Transparency will be vital to this project, both in the design and the operationalisation. Discussions around cryptocurrency have been dominated by Bitcoin, a virtual currency introduced in 2008 that is both decentralised and transparent. However this is only the most well-known example of the new type of cryptocurrency that combines the management benefits of alternative currencies, the flexibility of digital currencies, and the security provided by computer cryptography. We are exploring the idea of an “AidCoin” cryptocurrency that could be implemented as part of cash-based programming in specific situations. This would allow for transferring humanitarian aid streams in a rapid and transparent manner, tailoring the response to the need identified by affected communities or people. This virtual currency would not disrupt local economies, would protect communities against price volatility, and would prevent some types of corruption. The humanitarian community, while lacking resources for extensive research and development, should partner with specialised organisations to explore the possibilities in this new field of FinTech. This comes with the recognition that the technologies discussed are still in an immature phase, and that further R&D is required. We hope that the High Level Panel will consider this as part of its wider discussions about improving the humanitarian system, and embrace the potential it has for a radically new way of working for and with disaster-affected communities.